Restorative and uplifting. Certified natural body care. 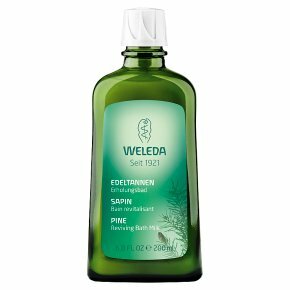 Dermatologically tested.Weleda's Pine Reviving Bath Milk infuses you with renewed strength and helps regain your inner balance. Inspired by the tranquility of a forest, the subtle fragrance of Silver Fir and Siberian Fir essential oils invigorate and refresh the senses. Especially good after a tiring day or in cold and damp weather.